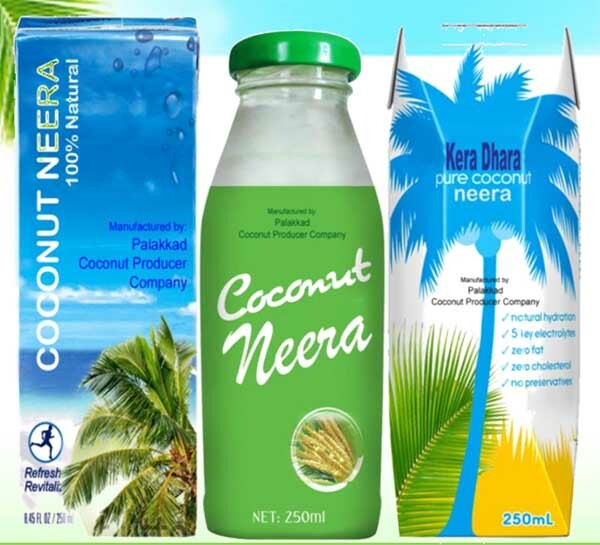 Kerala has launched a tender coconut water drink, Neera. 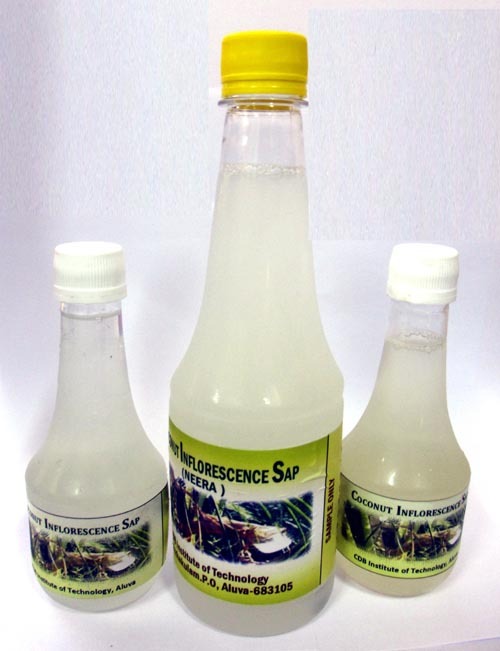 Without any alcoholic content, it is a health drink. 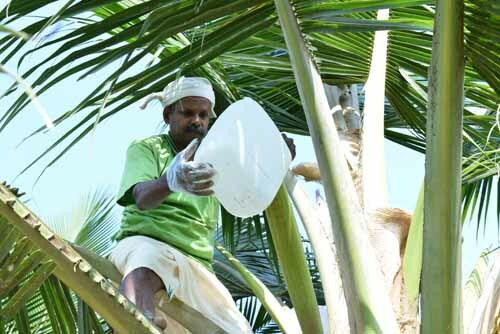 The farmer will get more than 1000 bucks per coconut tree and it will pave the way for more than 100 K jobs, says a report. The molasses from Neera is sweeter than honey, said Mahatma Gandhi. Neere contains zero Cholesterol and zero alcohol. 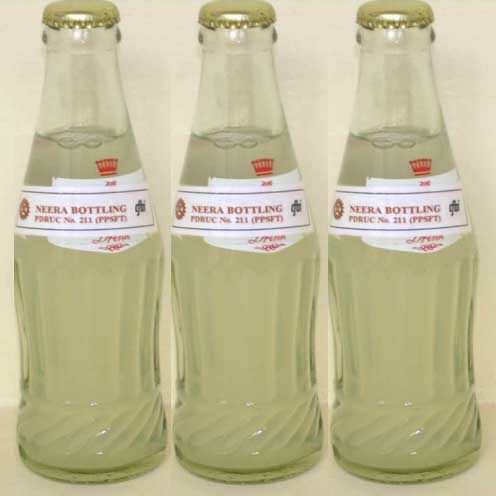 These are the contents of Neera in a 100 ml. Neera is not a mere substitute to Coke or Pepsi. It is supported by Ayurveda in the sense it has a lot of nutrients, as Kera or Coconut Tree has been hailed as a Kalpa Vrishka or the Tree which grants boons ! A Neera unit will cost 3 crores. Neera contains Vitamins, amino acids, calcium, iron, potassium, sodium et al. The packed Neera will last for one year. 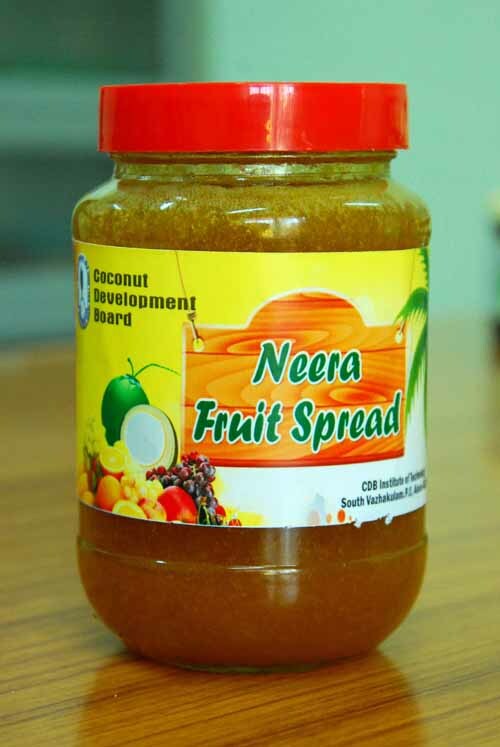 Neera production will bring cheers to the millions of coconut producers in the state, who are already burdened by high labor charges and the high cost of fertilisers. 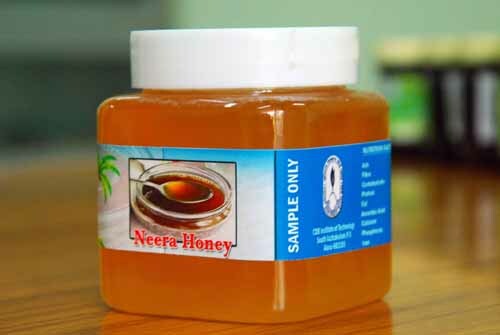 Molasses, sugar and syrup can be made from Neera. 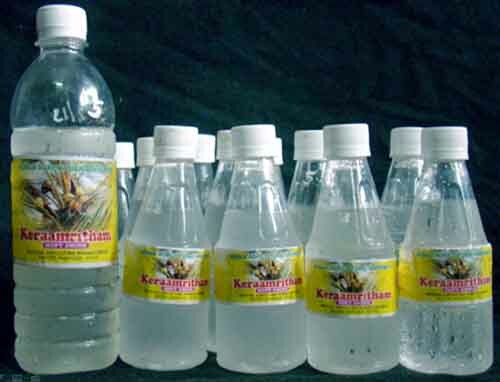 Indonesia is producing more than 1 million metric tons of Kera ( coconut ) sugar and molasses ! 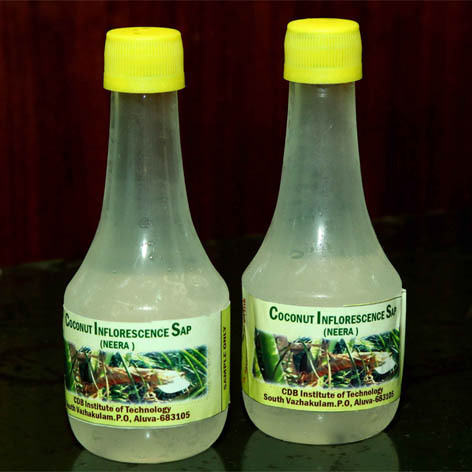 Philippines and Indonesia have produced a lot of value added products from coconuts and Kerala is following suit ! If Kerala can take Neera from 1% from the 180 million coconut trees, SDP will rise by 1.7% and the State will get 5400 cr as additional revenue. If 10%, SDP will rise by 17% and revenue 54000 cr and employment opportunities for one million! It is to be noted that Malaysia, Thailand along with Philippines and Indonesia are far ahead in this field. They get a lot of forex from Neera, by exporting it to the markets of the Gulf, US, Canada, Norway, France, Japan and Sri Lanka ! Neera is not toddy ! Toddy is produced by fermentation and Neera does not have any alcholic content ! The plan is this. 100 farmers together form cooperatives. 25 such cooperatives form Coconut Federations and 10 Federations form a Coconut Corporation ! One friend on Facebook asked " Is it san Sugar?". There is sugar in Neera, but the Glycemic Index is low at 35 ! At least 1500 coconut trees should be under one Federation. More than 3000 cooperatives and 106 Federations have been formed and two Corporations have been formed in Kannur and Palakkad, by the Coconut Development Board. 15 cr have been assigned for starting Neera projects ! 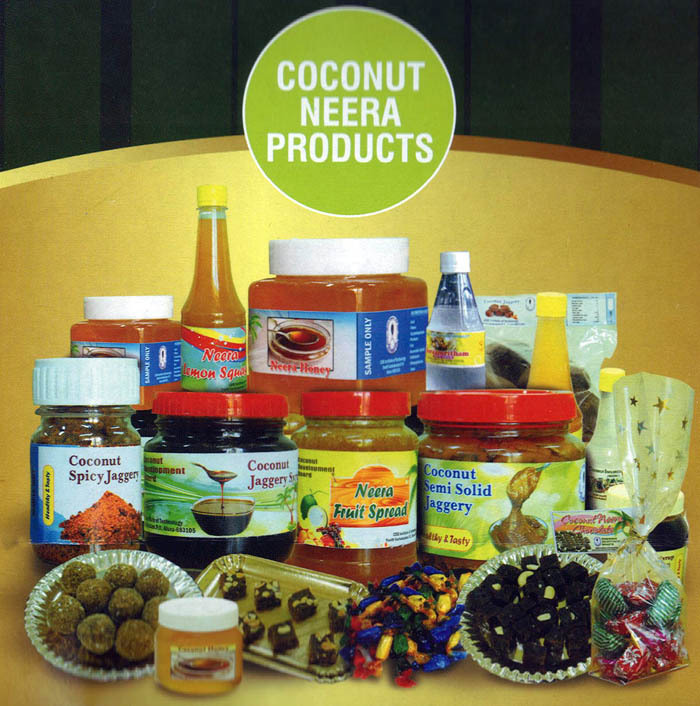 The Coconut Technology Mission will provide the technical know how to procure, process and pack Neera. The Govt will give 50% subsidy and the rest 50% have to be financed by entreprenuers ! 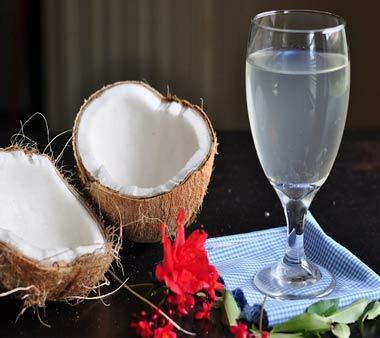 From one coconut tree, one liter of Neera can be extracted, even though there are coconut trees which can give five liters. 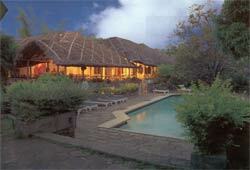 The farmer will get more than 12000 bucks per month ! 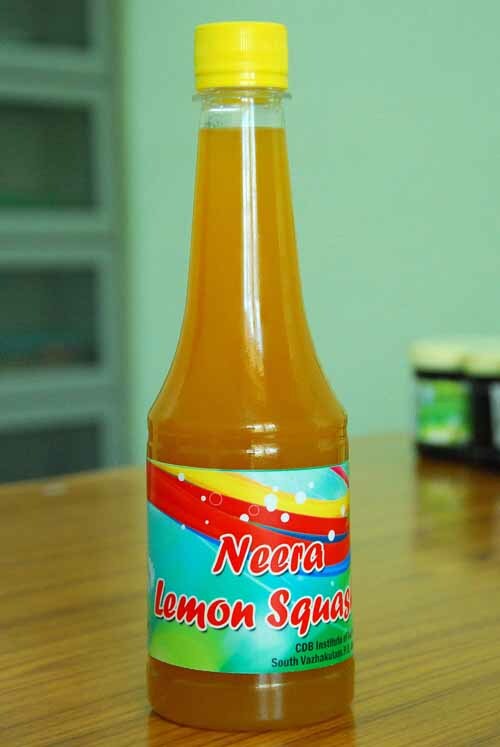 Other value added products like ice cream, biscuits and toffees can be produced from Neera. Let this project bring prosperity to the people ! Pls join our NEERA Community on Facebook ! is the Universe, Prapancha ! So we say in Sanskrit, Prapancha is the result of Prakriti Purusha Samyoga ! Those who are not intelligent to understand the deep underlying symbolism may fall into the trap of the Anti Paganists !